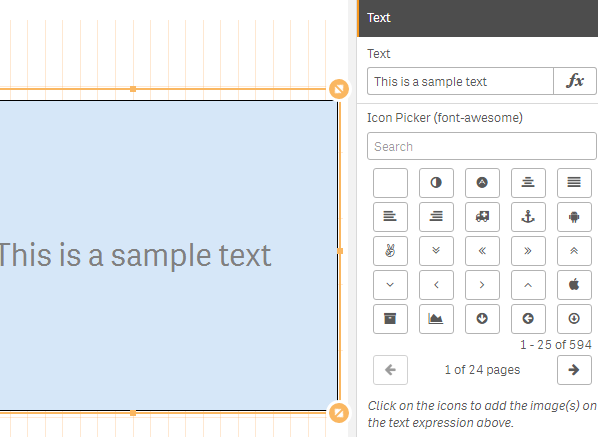 An extension identical to the classic QlikView text object which also supports advanced functionalities like HTML code, Tooltips, and copying content to clipboard on right-click. Open Qlik Sense and add the 'Vizlib Advanced Text Object' extension to a sheet. Includes all QlikView Text Object functionality. Style your text in any way and size you wish. Full list of searchable Font Awesome Icons. Configurable tooltip prompted on click or on hover. Support for copying content to clipboard on right-click. 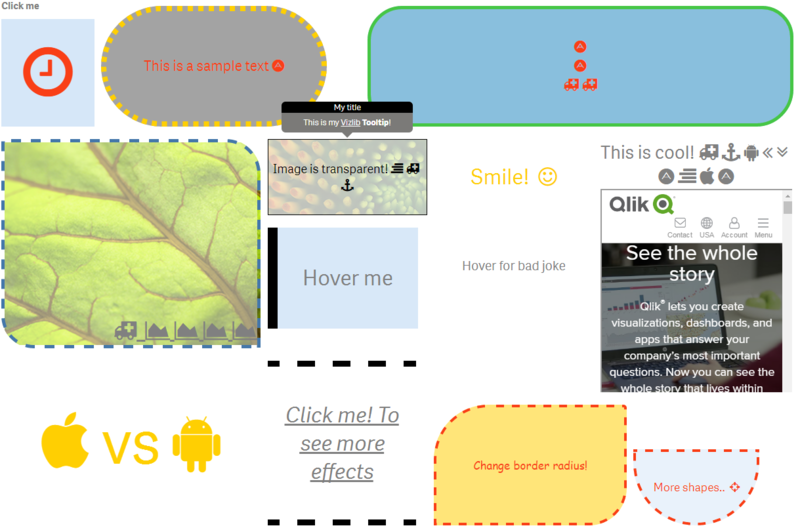 Upload background pictures and scale them or fit them to size. Full support of HTML (even styling elements). Copy content to Clipboard on right-click. Document chaining to other Qlik Sense Apps by passing selections. Numbers animations do support formatted numbers which use decimals as thousand separators. Add support for multiple number formats in the Animate number property. Add back General Options to VATO, deactivated by default. Fixed a bug where setting a background image was not working. Fix introduced for WebSocket communication error when extension is embedded in mashups sitting outside of Qlik Sense hostname. New Feature: Animate Numbers. Animate your KPI numbers when they're being updated. Added optional expression support for the Text component (was not working in QS 3.0). Embedding a website is now possible in the Background settings. 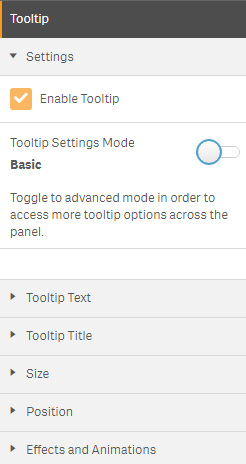 New Action Feature: Turn your text box into a button with multiple actions from selecting fields, navigating sheets, applying bookmarks or setting variables. Font color & Background color settings have been enriched with a color picker. 2016-2017 © Vizlib Ltd. - All rights reserved.